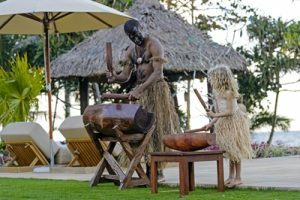 A luxury, family holiday is now even easier at Nanuku Auberge Resort (Paciﬁc Harbour, Fiji) with the launch of Nanuku’s new babysitting, accommodation and dining beneﬁts. – Every child under 6 will be allocated a dedicated Nanny for the entire duration of their stay; newborns included. – Children 6-14 years will be allocated a Nanny or Buddy (iTokani in Fijian) per family during their stay (extended from 12 years old). – Children 0-8 years stay, play and eat for free (extended from 6 years old). – Children 9-14 years pay only 50% of the normal children’s meal plans (extended from 12 years old). General Manager Sascha Hemmann comments “Our vision is to ensure families are completely supported at Nanuku. To savour precious time together and also treat exhausted parents to well-earned rest and relaxation”. “We understand the vital importance of unplugging families from the daily grind and to immerse them in ‘nature’s playground’. 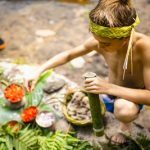 To help them re-discover mother nature and enjoy the way previous generations grew up; outdoors, uninhibited and free – this is the spirit of Fiji and Nanuku.” Sascha muses.